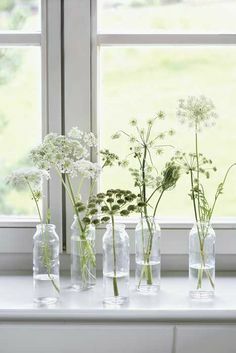 Grouped together in different shape and height vases they make a stunning statement…. 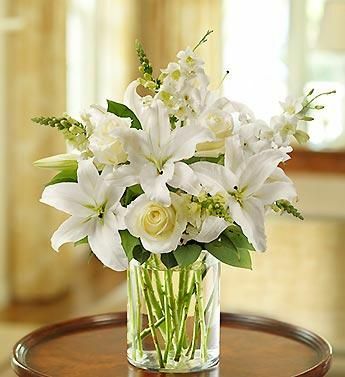 A simple but gorgeous bouquet for a side table…. 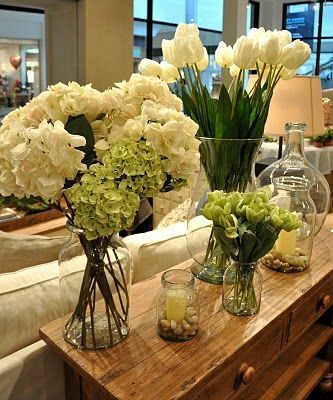 I love the mix of silver and white here…. 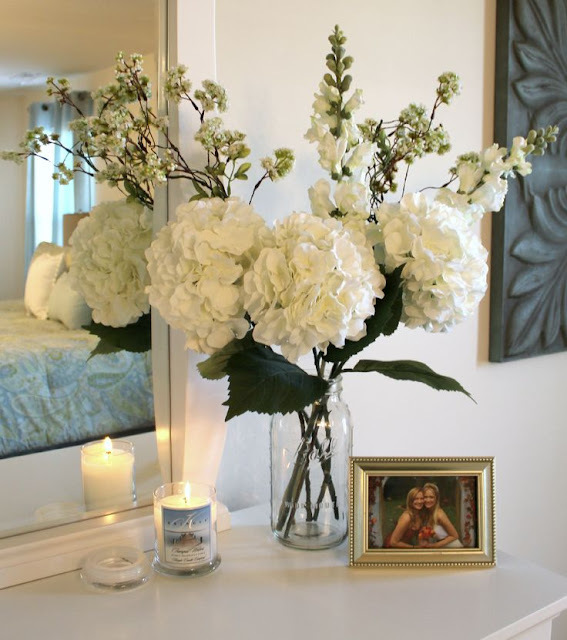 These simple stem arrangements grouped together are another of my all time favourites…..
My white hydrangea didn’t flower too well this year but I have brought in some single cuttings to decorate here and there and love them arranged in small glass vases on a tray with candles.